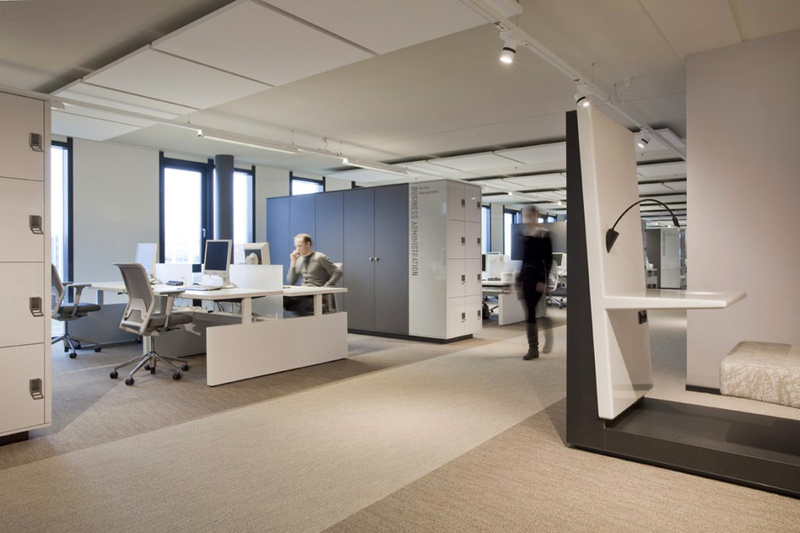 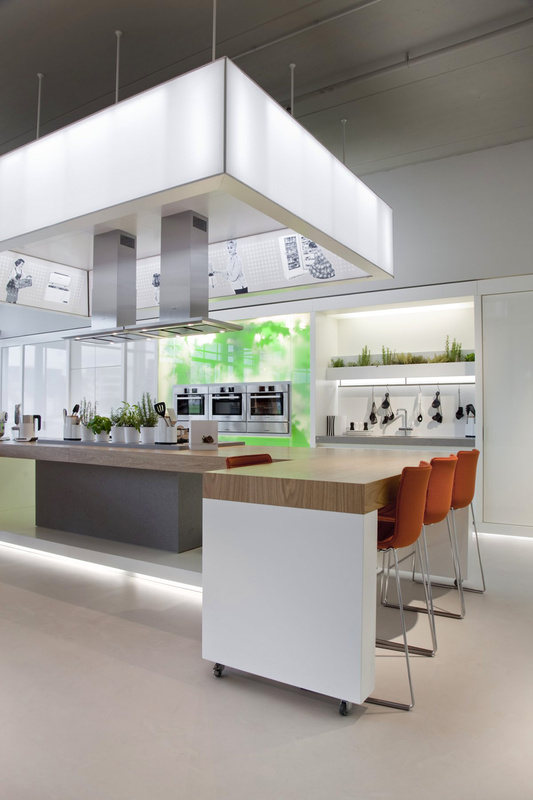 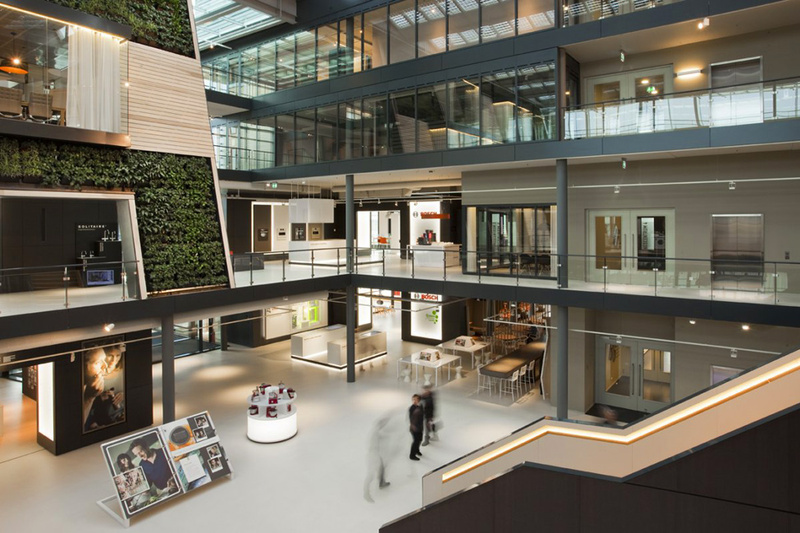 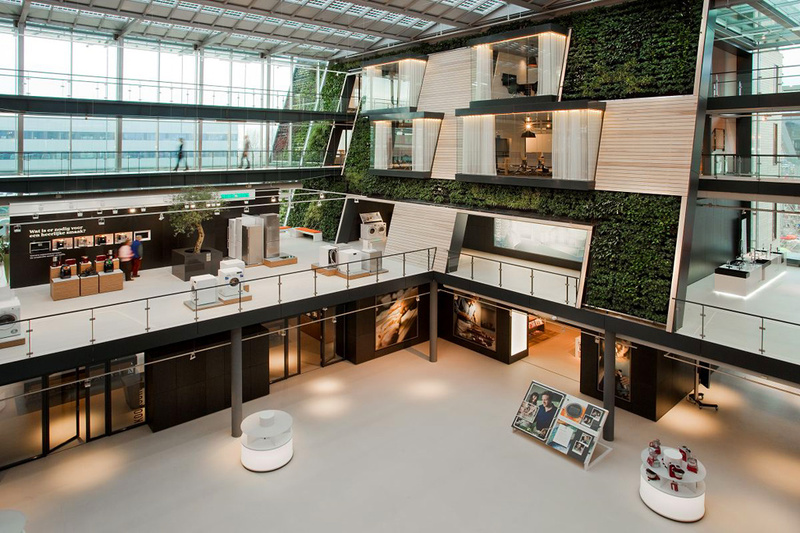 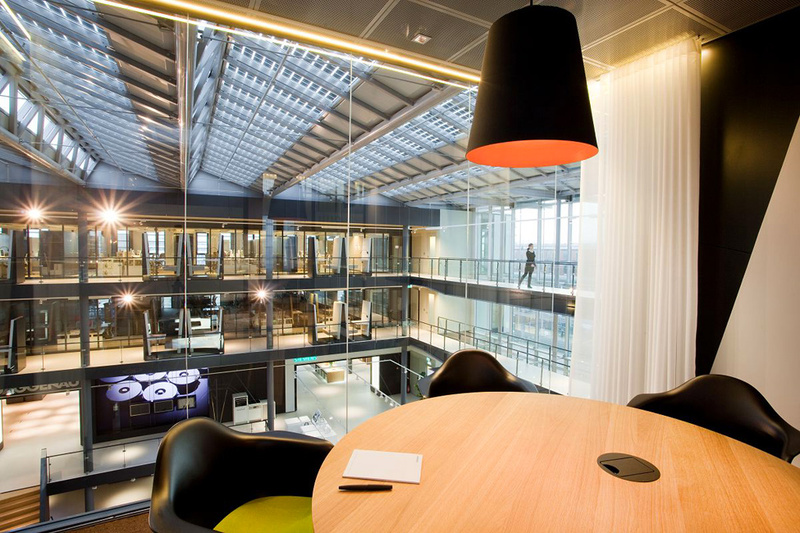 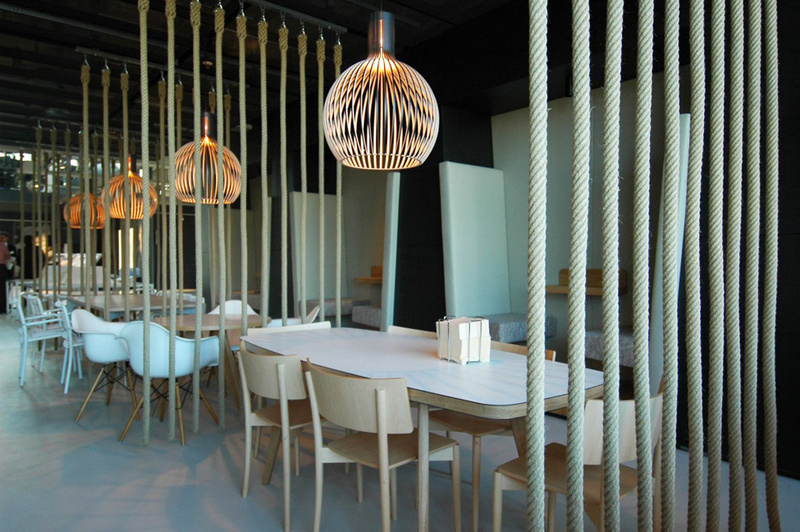 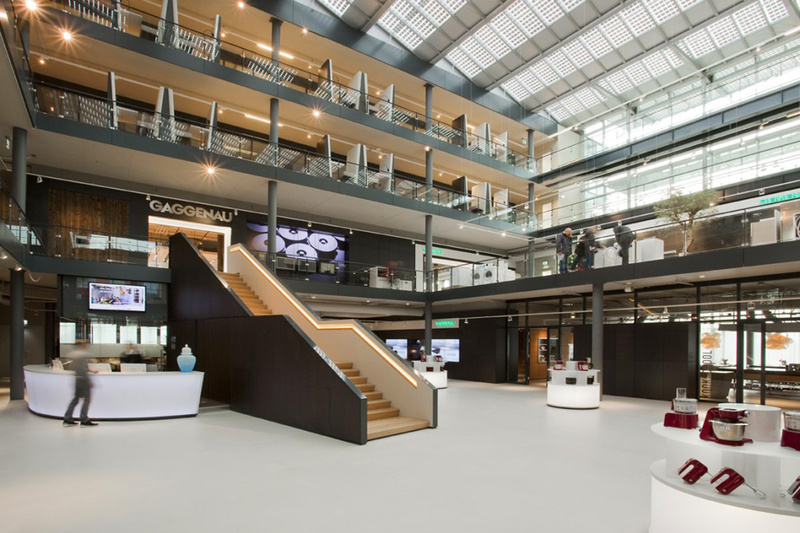 Architectural firm William McDonough + Partners in conjunction with D / DOCK worked on the design office of Bosch Siemens Hausgeräte (B / S / H /) in Hufdorp, The Netherlands. 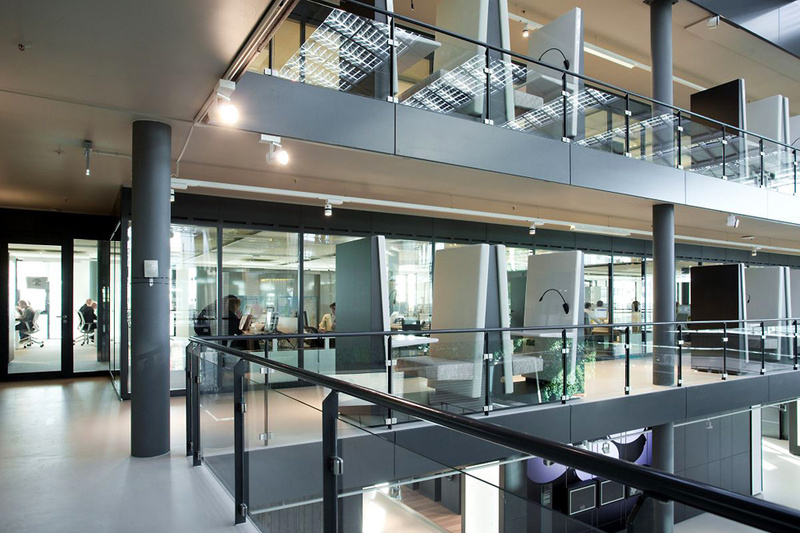 The main feature of the project is the central atrium four stories in height. 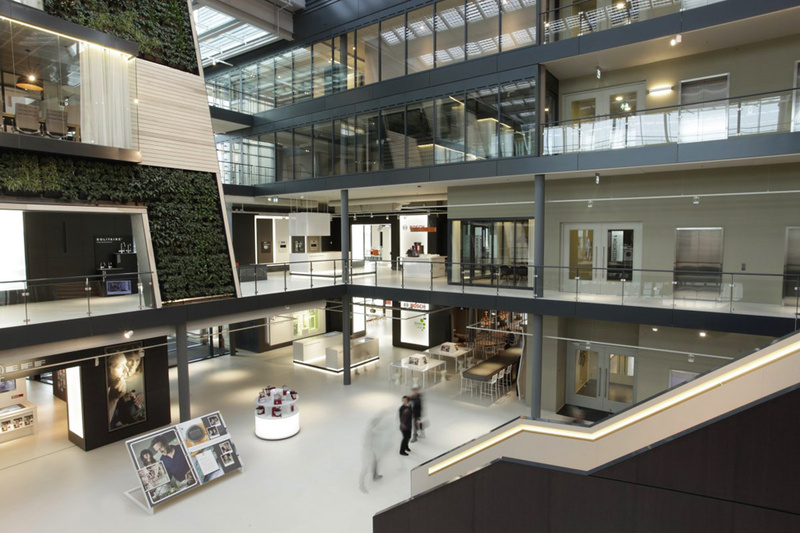 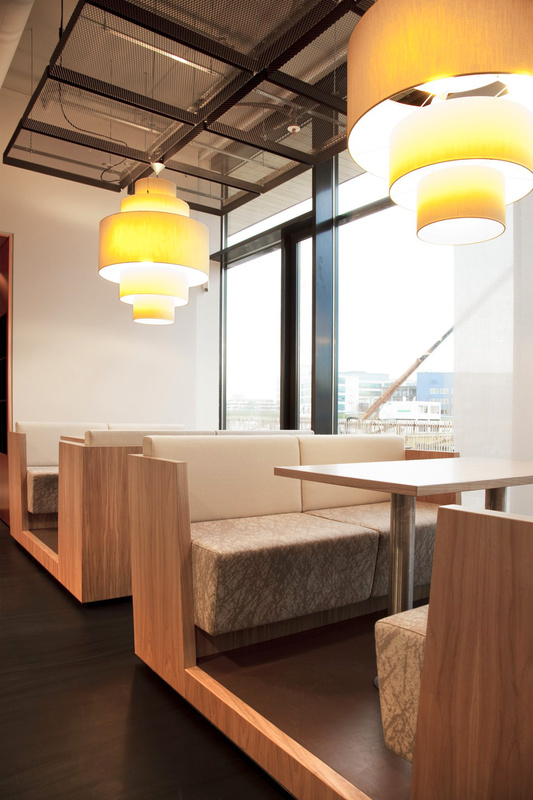 He was decorated with green wall in the living plants, which are integrated office space. 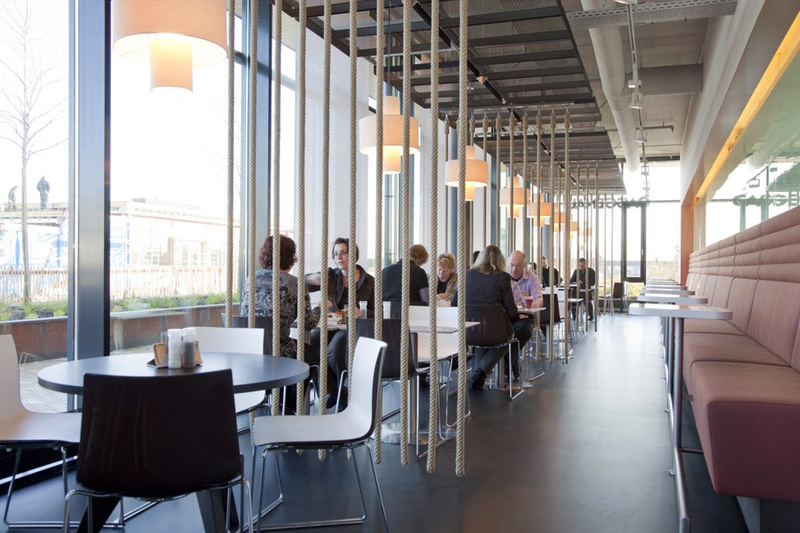 On the environmental and sustainability is also said photovoltaic panels on the roof, storage of solar energy.